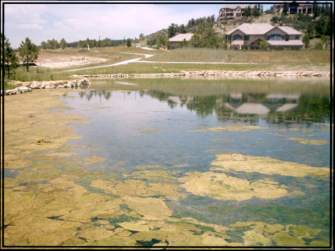 Maintaining healthy Ponds on Colorado's Front Range since 1988. 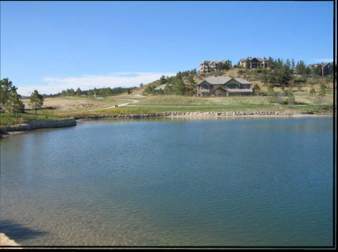 Cem-Lake Management provides lake and pond services to some of Colorado's finest Golf Courses, Metro Districts, and community associations. We offer high quality, cost-effective services in aquatic weed control, water quality care, aeration system installation and general lake maintenance. Many factors contribute to the health and aesthetics of a lake. We evaluate each body of water to determine the best approach for treatment, and develop a strategy that uses the best combination of microbial, chemical, mechanical and natural elements to establish a healthy lake. We're committed to Integrated pest management because it provides the best set of tools for efficient, effective and environmentally friendly control. Safety is key, both for our customers and our employees. All applicators are licensed by the Colorado Dept of Agriculture and are required to complete ongoing training to keep their skills sharp. We maintain close relationships with a network of manufactures, suppliers, other lake management professionals, industry and academic institutions to assure that our weed and algae control techniques are current, safe and offer the best route to success. Cem-Lake Management can help manage bodies of water ranging from large water features to reservoirs. We'll perform a rigorous initial evaluation of the lake to determine its strengths and weakness in regard to design, depth, inflow, outflow, sludge load, water nutrient levels, and current weed or algae problems. We then interview the lake owners to determine the uses of the lake, expectations and treatment goals. Based on this information, we can recommend for a strategy and frequency interval for treatment.